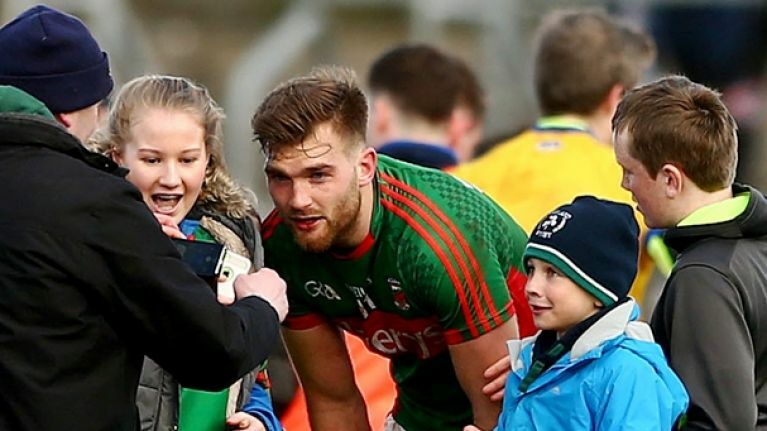 You could, with a fair bit of justification, say that this occurs after the final whistle sounds at every match the county team plays at MacHale Park but on Sunday there’s an official Meet and Greet with the team out on the pitch after the Monaghan game. This initiative was announced yesterday by Mayo GAA (here). It will, I’m sure, be an event that many supporters, young and not so young, will want to avail of so that they can rub shoulders with the lads who represent the county with such distinction. Perish the thought, there might even be a selfie or two taken then. Oh my goodness selfies! Perish the thought what you make of that Bernard Flynn! I think its time clarity is provided on the situation regarding the New York GAA ticket issue. Its only a few weeks away now and people deserve an explanation as to what’s happening. Surely Croke Park/Connaught Council have to take some responsibility in relation to the ticketing of the New York game. It is after all a GAA game and a Connaught championship game. In light of the tragic crush outside the hotel in Tyrone and many similar crushing incidents – are the GAA going to allow up to 10,000 people congregate outside a football venue when only 4,000 can get in to see the game. ~Tickets will surely have to be sold in advance with no tickets on the day. Yes, after the NYC game too please! I’m already gearing up for a long wait in line for tix. Refuse to miss it. Great idea. The youngster’s (and young at heart) all love meeting their sporting hero’s….Hope the weather is kind for all those running onto the pitch… And hope that they all get a second opportunity after a League Final… But if it’s in Croke Park, I’m afraid you won’t be allowed to run onto the pitch! Correction sorry meant to say (very much appreciate) new bulbs needed I think?? @ The Mayo viking …As far as I know only the hurling will be shown live. I think the Tyrone v Galway game will be live streamed on YouTube ,but no other football as Eir don’t have rights for Sunday matches. Thanks Albanyend, looks like Midwest radio then. Just a small bit ahead of yourself, Jimbo!, first we need to win and hope that Tyrone beat Galway…. and even at that,you are still a small bit ahead of yourself! Was it 2010 or 2012 not sure, anyway, it was our last match in the League and we travelled down to Cork and beat a highly fancied team in their own back yard. This win meant we were now in the final against, surprise-surprise, yes it was Cork. Needless to say, that same Cork team gave us a good hiding in the final and sent us home with our tails between our legs. 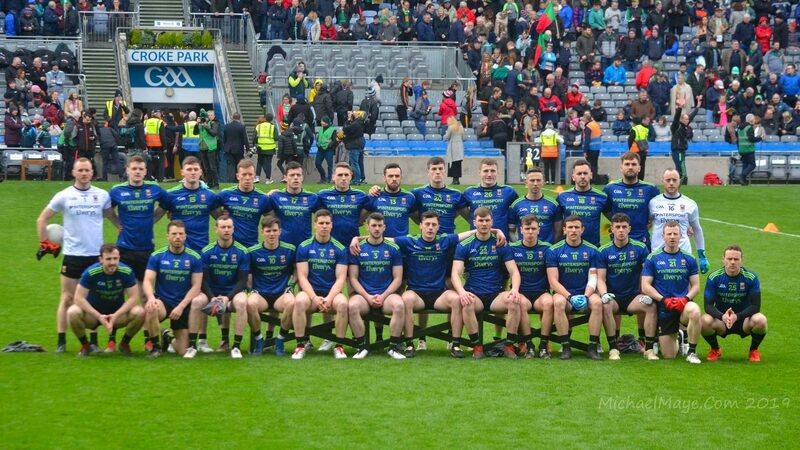 After our win Over Kerry last weekend I began to think, were these cute Kerry guys giving us a free pass in the hope of maybe meeting us again in the final. I think Hanley has fallen well back in the pecking order. Granted he’s been unlucky with yet another injury, but I feel he needs a good couple of years playing club ball, before he nails a place on the Mayo team. If O’Donoghue is fit come summer, then id love to see him run riot in New York. Hanley is a big, athletic half-forward who can cover the ground quickly as a ball carrier. Once he gets fit I’ve little doubt he’s the type of player that Horan will use. It really is a pity he couldn’t get on the pitch during the current league campaign. Having said that, he’s had a couple of serious injuries so it might be rest and time to fully recouperate that he needs. O’Donoghue is another who is a really exciting prospect. Hopefully he’s fit to travel to New York and dip is toe into senior football. To my mind he’s a bit different to anything we have so that should run in his favour. I’m still not convinced a league final is something we need. I certainly wouldn’t advocate downing tools against Monaghan, but if we get the win and it’s not enough to progress I won’t be too disappointed. On a lesser extent the crowd outside Austin Stack park on Saturday night was huge with people all over the place including on the public road. I feel that for games like this crush barriers and proper queuing routines should be adopted. People were very keen to get into the stand, it was a desperately poor evening, and did not really care about queuing and pushed to the front. All it needs is for one person to go down! Looking forward to hooshing Aidan O’Shea out of the way on Sunday, as I make my way across the pitch. I think I can take him. The one thing with Cian Hanley is that he seems more of an 800 metre runners type build, naturally slim and rangey. With the programs he has had until now he is still that type of a build. It means he has a very high repeatable running speed but I haven’t observed him to be particularly strong in contact. His long slim rangey build isn’t great in contact or breaking ball. Ryan O’Donoghue is smaller but he is far more explosive in those first 10 yards and agile as well. He doesn’t run in straight lines he knows instinctively how to move around. See his goal against Kildare in the U20 final to see that instinctive ability to shift around his running line to throw off defenders. A player I am excited about is Gavin Durcan with our U20’s. He is bigger than Paddy Durcan his cousin whilst being athletic and strong. He is probably the best athlete we have had coming up in underage since Paddy Durcan. JP, Gavin Durcan was one of the players I was surprised didn’t make the panel last year. maybe it was the conflict with the leaving cert. Played Midfield with Evan O Brien in NUIG All Ireland Freshers win against DCU, Equally comfortable at the back or in the half forwards. Yes Gavin captained the Mayo minors a few years back. He was only on the bench for the Mitchels last year and got very little game time in championship, so it is a big jump to be making the county panel. Not many 19 year olds do, Diskin is the only one out of last years group that has an outside chance of making the senior panel this year. Potentially in the future there will be a few more. In the main players like Matthew Ruane always had the potential but has only made the breakthrough this year With him being under 23 this year. Lads ye seem in tune with the underage set up…how is this years u20 team going to fare out. Minors really has faded. u17 is so far off adult level. u20 is now a far greater yardstick. We can all think of great 17 year old’s over the years who never made it to senior. That being said, success breeds success and Mayo could certainly do with instilling a certain level of confidence into it’s younger teams. Galway’s run on us at underage needs to be stopped. Mayo should have a good U20 team. Physically strong and experienced. A good core from last year and some good additions. For God sake,don’t tell Bernard Flynn. @Raz, Do you mean Ciaran Gavin? Wouldn’t think of him as a Kevin O’Neill. Think he’s potentially more of a powerful Brian Howard type of wing forward. Next years U20s I would already pencil as also being a good team, potentially the best of what would be the three years of the grade. Rory Brickendon, Oisin Mullins, Cillian Golding, Jackie McLoughlin, Ronan Reilly, Pat Lambert, Emmett Rowley, Kuba Callaghan, John Gallagher, Enda Hession, Liam Og Horkan, Ethan Henry, Jack Carney, Adam Barrett, Paul Towey, Paddy Goldrick, Jack Harte. Interesting to think how they could be going a year down the line. Ciaran Gavin also underage for next year’s U20s which is quite something. I agree we should be good at U20 the next 2 years pity there wasn’t a round robin, lose one game and the season is over.Ethan Henry is still U17. We should have a decent team at U17, some of them impressing at school senior level. Paddy Heneghan and Ciaran Mylett Castlebar Niall Tracey Davitts Frank Irwin Ballina Ethan Henry and Ruairi Keane Mayo Gaels Aidan Cosgrove Kiltimagh and Conor Reid Bohola Moy Davitts who started midfield in St Joseph Foxford Connaughton C final win with a team full of the Knockmore minor league team team of last year. Wow, didn’t realize Ethan Henry is still U17, he was MOTM for St. Colmans against St. Gerards in the Connaught A final last week. Strong player for U17. Yes, this years U17s would appear to have a bit more about them.